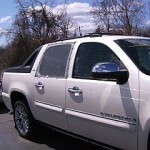 A great solution to keep your SUV, truck, van, car or RV ventilated and insect / mosquito free. No more fussing with poles and stakes! 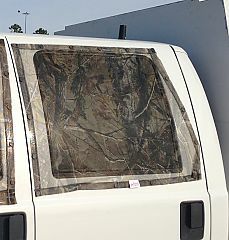 Just throw our Skeeter Beater magnetic window screens up on your vehicle window frames and enjoy a bug and mosquito free environment with maximum air flow. Lightweight and portable — They pack small in their own drawstring bag and fit easily into a suitcase, the glove box, a door pocket or the map pocket behind your seats. Take them with you to all your outdoor destinations, local or abroad! Durable & Tough — Made using a durable, 100% polyester no-seeum mesh fabric. Available in four colors — Gray, Olive Green, Black, and Fall Forest (True Timber camo). Manufactured locally in partnership with a Missouri Sheltered Workshop. Magnets are sewn in around the hemline and they come in a set, for both right and left windows, along with a FREE reusable mesh drawstring bag! 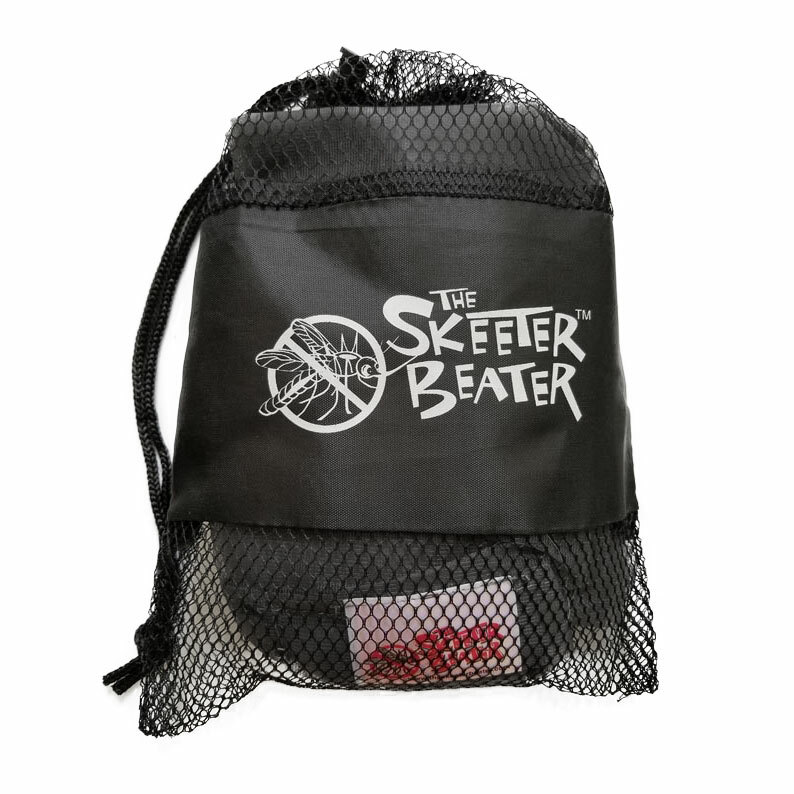 Take our Skeeters with you when you go horseback riding—the screens will keep your truck ventilated and FREE of flies, bugs, mosquitos and other pesky insects while on the trail. If you’re camping for the night then your “tent on a truck” is ready! When taking your dog with you to run errands on those nice days, our Skeeter Beaters are great car window screens that allow a cool breeze for Fido. They work great if you participate in dog shows both, to provide fresh air for your pet during the show and for you if you plan to sleep in your car, van or truck after the event. Like your music? Listen to it outside your vehicle with our mesh window screens on your windows and the volume turned up! Have an antique or classic car? Whether it’s in the hot sun or in your garage, protect your investment by attaching a pair of Skeeter Beater window screens over the car windows to help the interior breath and keep the dust and bugs out. 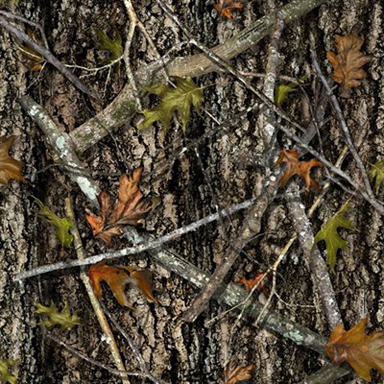 Photographers and birders alike have found our camo print provides excellent cover when photographing or viewing birds and other wildlife. 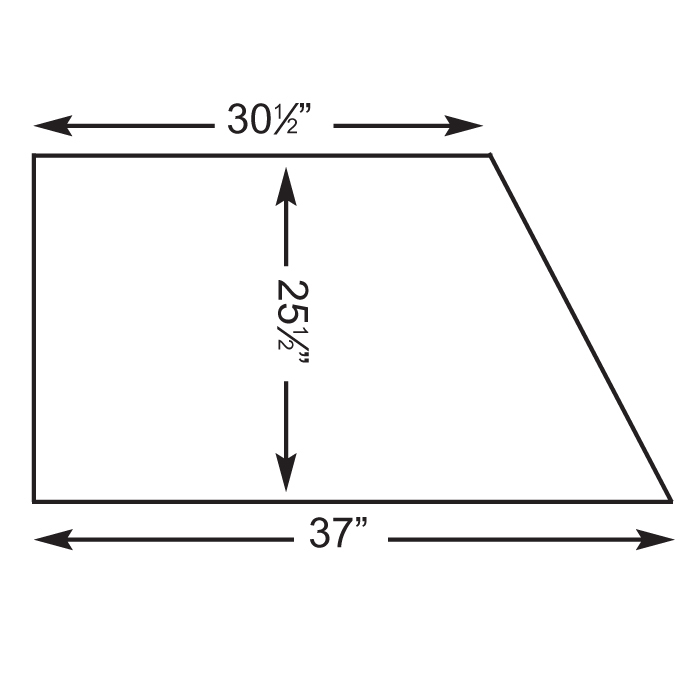 Our mesh window screens can be cut and altered as needed so you can easily fit a camera lens or binoculars through them. 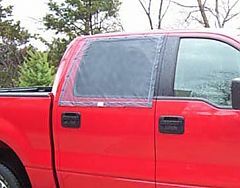 Enjoy a scary movie at the drive-in with our mosquito window screens on your car to keep YOU from getting eaten alive!